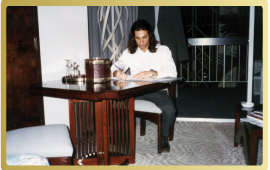 Living in Ibiza since 1995, in 1997 created probably the First Private Tour operator on the island. At the beginning of 1999 started to organize VIP Services for Aristocrats, Celebrities and Top Executives on the island and on the most beautiful worldwide locations. In 2006, following the Luxurious development of our Fantastic island, Ibiza VIP Agency Project started. Ibiza VIP Agency organizes Luxury Travel Services for some of the World’s Most Important People visiting Ibiza. 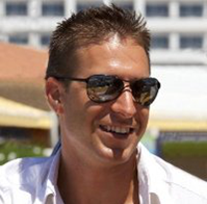 Kabal Possomato, Ibiza VIP Agency General Manager, spent the last 15 summer seasons exceeding customers’ expectations, whilst on winter time promoting the Luxurious face of the most demanding Mediterranean VIP tourist destination. He believes in Excellence and Perfection. In 2010, Ibiza Tourist Board created an Exclusive Club selecting the best representatives of the Luxury scene in Ibiza. Ibiza VIP Agency is proud to be member from the beginning of the Ibiza Luxury Destination Project, cooperating with all the Exclusive members to make ILD a quality mark. ILD values are respecting Privacy whilst providing a transparent but efficient Services to all the VIP’s interested to know more about this paradise without unexpected situations. Thanks of the fidelity and support of our long term Valued Clients, on summer 2015 we are pleased to announce that we will associate with Martins Yachts Ibiza, the Specialist in Luxury Charters, providing the perfect Ibiza Yachting experience. MARTINS YACHT IBIZA is the best boutique charter organizer and through the collaboration with IBIZA VIP AGENCY, will provide a wide range of bespoke tailor made Luxurious Yacht Charters for our discerning customers. We combine years of experience with an extensive in-depth knowledge of Ibiza luxury yachting industry, remaining focused on presenting clients with a perfectly satisfactory experience.